Here you can find my software applications. They are freeware. If not described different, all applications comes as an install file, and are meant to run on Windows. 29.11.2014 – CuHe is a one trick tool. It creates some kind of a heightmap mesh from an image. But not one vertice per pixel, but one cube per pixel. Something like a cubic heightmap. Once done you can save the result as Obj. CuHe is open source. 4.11.2012 – Buttonlabelcombiner is a batch tool to combine icons with a background image. To put labels on top of a button. 15.7.2010 – A application to remove the halo problem around textures. It extends the border around the visible areas. 28.1.2010 – Simple Alphachanneler is a little application with which you can give image sequences an alphachannel. 15.1.2009 – The replacement of my Tilesetmaker 2. Tilesetmaker V3 is a little application to make a big tileset out of several small pictures by union them together. 24.2.2009 – HemaHema is a little Terrain creator. Create heightmap, create texture, save in the 3D format OBJ. Plus spread plant meshes across the landscape. 25.4.2008 – Daueridler trys to prevent disconnections because of inactivity by causing some internet traffic in adjustable time intervals. 25.10.2007 – Small application to replace multiple strings in multiple text documents. 7.8.2006 – Gives an antialiased rendered Sprite the sharp border of the not antialiased rendered one. 18.1.2006 – Small helperapp that helps you at creating Rebirth 338 Mods. 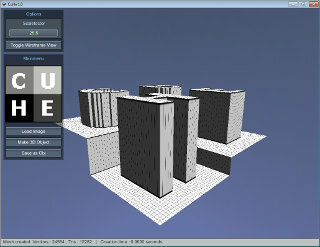 22.1.2005 – Small app to create tilesets. 22.6.2004 – A little application to replace a colour at several pictures at once. 29.12.2002 – A little application to cut out tiles from a tileset.